It’s important that your seating plan is clear and concise, so we’ve created these guidelines to ensure there is no confusion on the wedding day. Your floor plan/table layout is the drawing/diagram of the venue showing where each table will be placed in the room. Every table must be clearly labelled with a table number/name. Your planner will help you with the floor plan, you will just be required to label the tables with numbers which corresponds to your seating chart and seating plan. This is an internal document, it will not be on display for your guests. Your seating plan is the plan you create at home to work out who sits where. Decisions you need to make include who sits at the tables closest to and furthest away from the bridal table, as well as who at each table has the best view of the proceedings. These are usually in order of importance or seniority. The seating plan is an internal document used as a guide to instruct on exactly how the place cards should be placed out. Your place cards will be positioned on the tables for your guests to see. 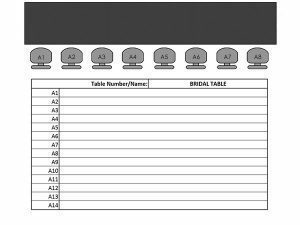 A seating chart is a board typically displayed at the entry of your venue (usually placed on a table or an easel) which lists all of the table names/numbers, each one followed by the list of names of who is sitting at each table. Your guests will familiarise themselves with their table number, which they then use to find their table as they enter the room itself. 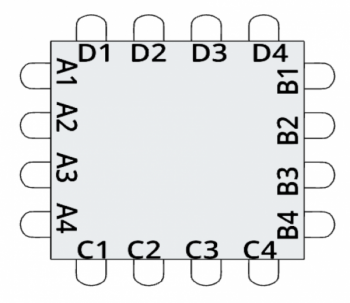 Some form of displayed table number or name is recommended for the tables. A seating chart is highly recommended, especially for weddings with over 40 guests, and is to be arranged by you or your decorators. Your seating chart will be on display on the day and should suit your styling. If you’ve written your mum’s full name “Doris Smith” on the seating chart at the front door, then the place card needs to be exactly the same to avoid any confusion for whoever is placing these out. Simple place cards can be arranged with your wedding planner. Who is placing out the place cards? You can arrange for your decorators to place your name cards out as part of your order. We recommend sorting your place cards into their separate table groups and in order of how they are to be placed around the table. This makes it quicker and easier for the person placing them out and also gives you the opportunity to double check the names and order to make sure everything is correct. Can friends and family help? – Do you want them to miss special moments of your day? – Will this put undue stress on them? – Will they still have time to get ready? – Have you considered the realistic time it will take to complete these tasks? – Talk to your planner who can give you some expected time frames for various tasks as they may be longer than you think. We have created an excel spreadsheet that you can use to list the names of people sitting on various tables. 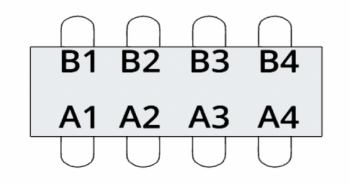 Use it in conjunction with the below diagrams to see where each seat number is located on different shaped tables. Your seating plan should be finished no later than 1 month prior to your wedding date. Changing your seating plan after this time should be avoided. The venue staff on the day are unable to assist you with creating your seating plan, printing your place cards and seating chart, or placing out your place cards. On the wedding day these tasks need to be managed by a pre-allocated person (either a family member/friend chosen by you, or as part of your decorators order). If you have any questions or concerns regarding the seating plan process, please discuss these with your wedding planner. 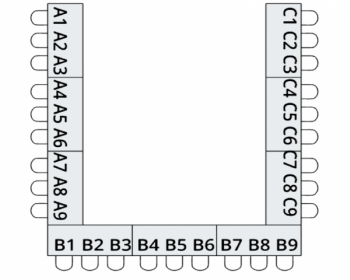 Who sits where at different table shapes? On a round table, seat number 1 would be the first seat to your left as you stand at the back of the table looking toward the bridal table. 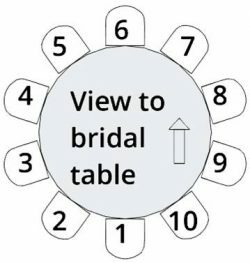 On a table of 10 people, like the example below, seat numbers 1, 2, 9, & 10 would have the best view of the bridal table.